POS systems such as the Clover Station 2018 have hardware with inbuilt QR scanners and cameras which keep a record of each transacted item. An analysis of goods remaining in the inventory is then carried out with the goal to determine those in danger of running out through comparison of sales patterns for each item. Business managers are then alerted of which goods to restock by use of a stock alert. This monitoring is always in progress, in order to ensure that goods are always on stock for continued customer satisfaction. POS systems allow acceptance of NFC, chip cards, debit cards and credit cards as a means of payment. Clover merchant services offer clover POS system which is equipped with an end-to-end encrypted network, coupled with single-use hardware that facilitates fast processing of these transactions. As a result, POS systems are a useful treasure when it comes to fast service at establishments such as festivals and food trucks where customers are lined up. 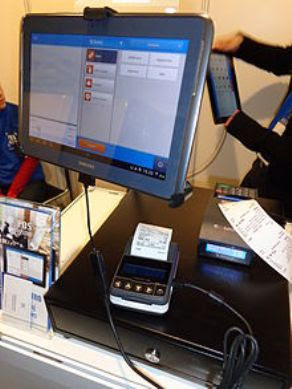 iPad POS system integrates features that enable management of multiple business branches at different locations. This is due to its computer networking ability which allows remote employee payroll, schedule management and item regulation from one central point. In addition, high accuracy of information obtained is experienced due to state of the art calculation and bookkeeping software that processes highly complex calculations with ease, yielding accurate results. Online order features of POS systems allow for remote customer interactions. An item menu is displayed online, displaying product categories together with prices, product variations and a number of items in stock. To make purchases, a customer is allowed to select their items of choice and through POS systems, Financial transactions are made with ease and security. The result is an increased customer base as remote customers also receive high-quality service. POS systems have a price control feature which enables price reduction on selected goods for purposes of creation of discounts for customers depending on loyalty point obtained from a number of purchases done by each customer. This serves as a purchase stimulant as customers make more purchases with the aim to increase their loyalty points for added discounts. POS systems facilitate a smooth and secure flow of business transactions, therefore a necessary tool for any establishment within the revolutionized business world.